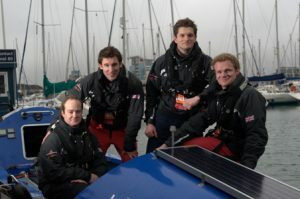 Team Indian Ocean 3100 feature on BBC's Inside Out! 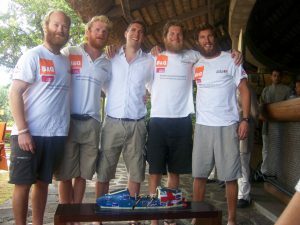 Team Indian Ocean 3100 are a 4 man rowing crew that successfully crossed 3,100 nautical miles of unforgiving Indian Ocean this Summer. Completing their epic voyage in 75 days, 11hrs and 21mins they are the first crew to row completely unsupported! Along the way they suffered unimaginable fatigue, crippling sores, swam with a whale and nearly collided with a tanker ship. 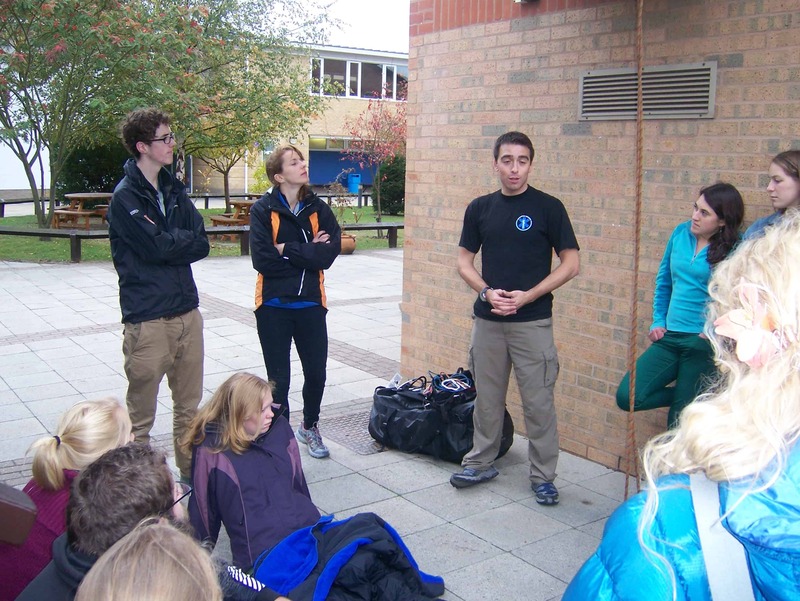 Expedition & Wilderness Medicine’s University Liaison, Dr Nick Knight was the team’s coach and research coordinator. Throughout the 3 year project the team continuously filmed the highs and lows of their journey. The BBC took hold of the footage and aired a 15 minute feature on Monday 14th November on BBC’s Inside Out programme. The link to the show on BBC iplayer is below. If you scroll to 19minutes 25 seconds into the programme the feature on Team Indian Ocean 3100 begins there. We even get a glimpse of our University Liaison! 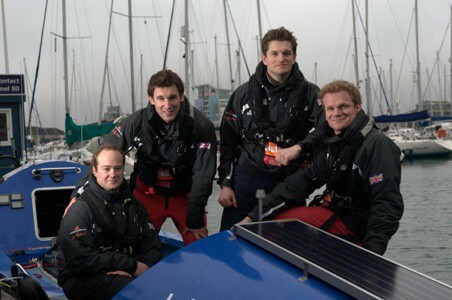 Team Indian Ocean 3100 feature on BBC’s Inside Out! 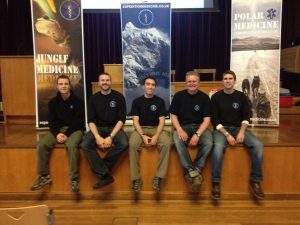 This October Expedition & Wilderness Medicine (EWM) sent a team of our EWM doctors and paramedics to the Student Wilderness Medicine UK National Conference. 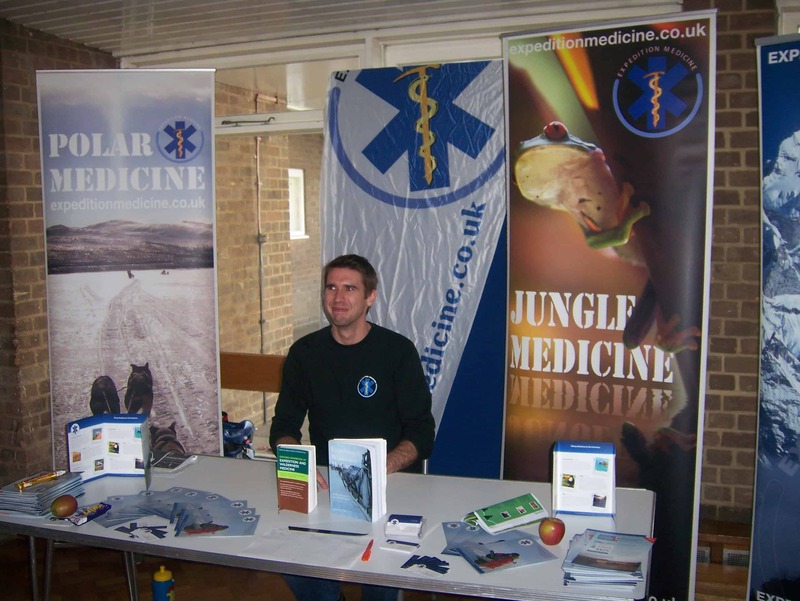 This year it was hosted at the University of Cambridge and attracted over 150 medical students with a passion for extreme medicine. Over the two day conference the EWM team delivered road traffic accident (RTA) and cold weather/crevasse rescue practical scenarios for the students – and all had a fantastic time! So who was on the EWM team? Well, we had the ever-charismatic HEMS paramedic Dave Marshall, emergency specialist Dr Adam Chesters, the animated Dr Joe Davis who specialises in polar medicine and experienced HEMS paramedic Mike Bradfield. I was also there to answer any questions the students had as I manned the EWM information stand – but obviously Ieft the scenarios to the experts! 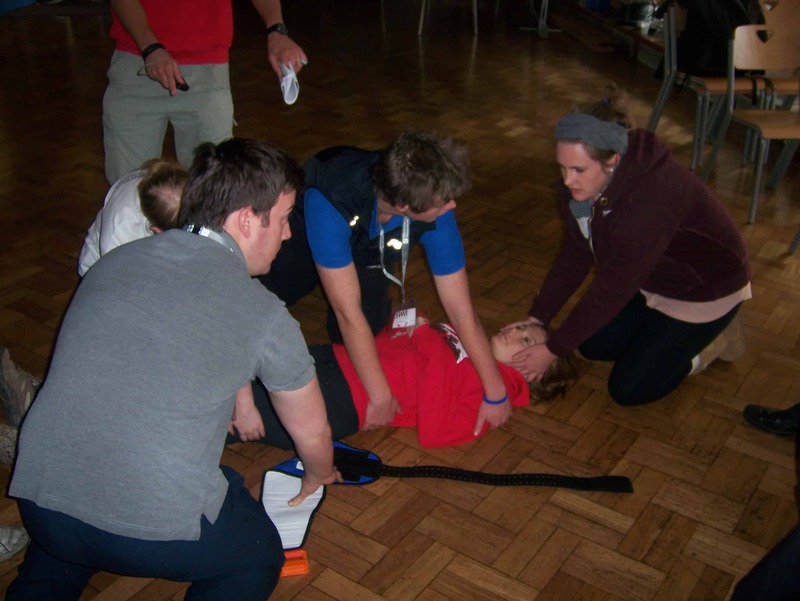 The EWM team ran each scenario twice on both days so that all 150 students got to experience both scenarios and be entertained by the team. The scenarios were broken down into an initial theory session for 30mins, followed by 30mins practical familiarisation with the equipment, before finishing with a 30mins mock real-life scenario. Emergency Doctor Adam Chesters and HEMS Paramedics Mike Bradfield and Dave Marshall led the RTA scenario. As the students sat around the lecture hall they took in the theory of how to approach an RTA as the first on scene – what questions to ask yourself like “what does the scene tell me about the mechanism of injury?”, “is there any present danger?” (petrol, fire, oncoming traffic), “how many casualties are there and how can I triage them?”. 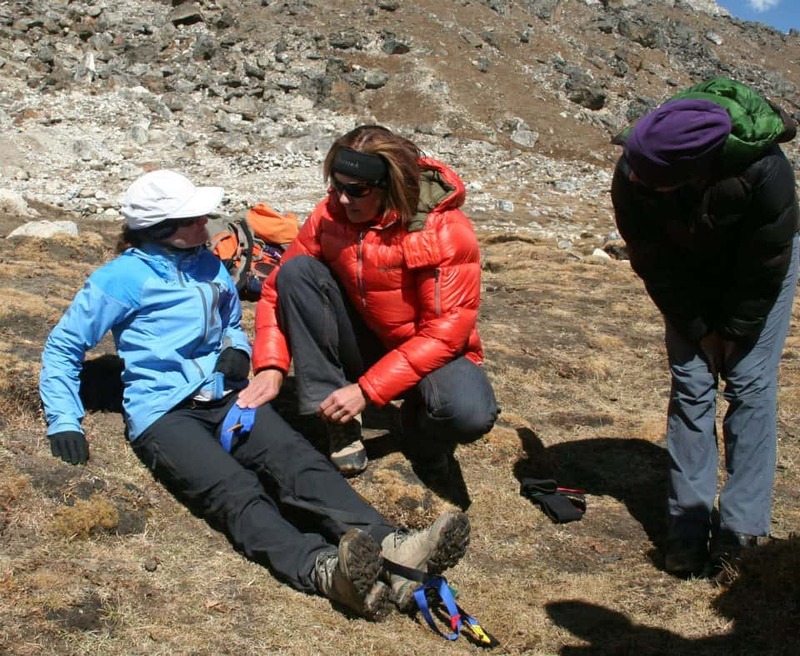 They were then talked through the SAM pelvic sling and Kendrick limb splint….and then it was time to get ‘hands on’! Before you knew it students were splinted left, right and centre, scattered around the hall with plenty of laughs all around! Familiarised, it was onto the scenario: the student team were briefed and then taken outside to a mock scenario. As they turned the corner to the students were met with a car with an injured driver, and a cyclist trapped under the front of the car. This is a good time to thank the Cambridge students who volunteered and expertly played (with lots of screaming!) casualties in the EWM scenarios – it makes these scenarios as realistic as possible. So the team, tentative at first, approached and went through a scene approach algorithm starting with identifying danger to A, B, C, D and E. Once the injuries were identified the SAM splint and Kendrick were put into action using the new knowledge the students had gained. Following successfully completion of the task and with the casualties safe the team debriefed with Dr Chambers and paramedics Dave and Adam – who were all really impressed with the students. Breaking down each element of the scenario from team communication to order of treatment the students left upbeat and informed. Dr Joe Davis took the lead for the cold weather scenario. 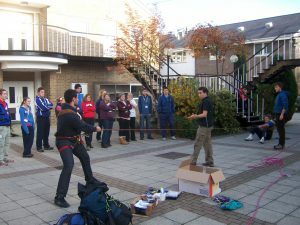 Set outside and inventively using the fire escape as a crevasse, the students were put through their paces with polar survival and medicine. For many of the students this ‘cold weather medicine’ was new territory. 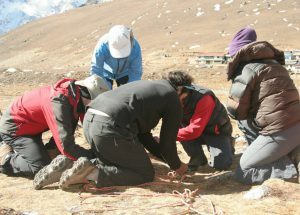 However, with his outgoing, enthusiastic and engaging personality, Dr Joe Davis soon brought the students out of their shell and got them confidently handling the ropes and learning how to rescue another climber from a crevasse – and if the circumstance needed it – to save themselves when alone. 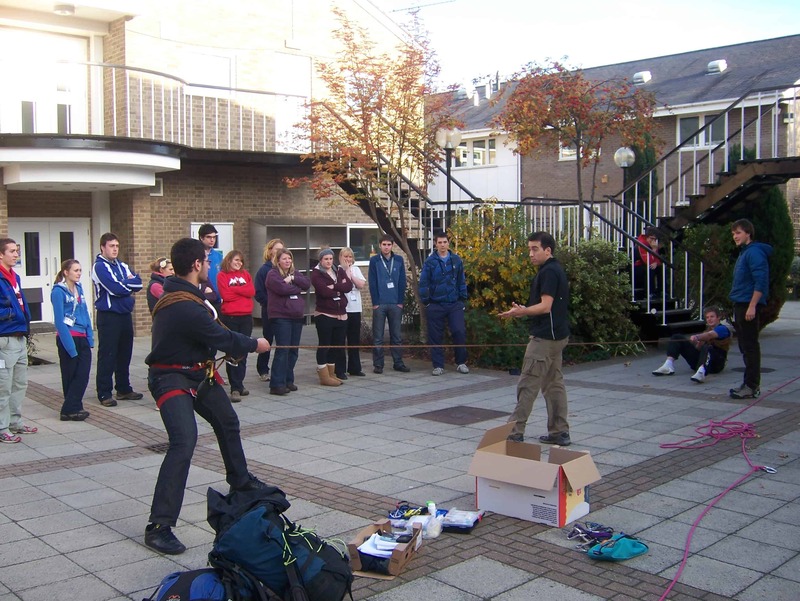 Watching students winch themselves up ropes – much to their own surprise – was fantastic. I am pretty sure the students were laughing as much as they were learning – which was a lot! Having completed the crevasse rescues the students spent the last 30mins of the scenario discussing frost-nip, frost-bite, acute mountain sickness, and the serious threat of high altitude cerebral oedema (HACE) and high altitude pulmonary oedema (HAPE). As the weather outside began to turn and the students beginning to feel the effects of frost nip themselves, it was time to head back indoors and warm up! Apart from two great scenarios, Expedition & Wilderness Medicine were also proud to have Professor Chris Imray, prominent Consultant General, Vascular and Transplant Surgeon and leading frostbite expert, to come along and give a talk on cold weather injury on the Sunday of the conference. The talk was a roaring success and as ever Chris delivered a fantastic talk. Overall the EWM team thoroughly enjoyed being part of the Student Wilderness Medicine UK National Conference. We would like to thank the organising committee for a great weekend and their hospitality! All the students we met were fantastic – enthusiastic, fun and with an already great level of knowledge. If the students we met were anything to go by the future of extreme medicine is safe and secure in the hands of these young and upcoming doctors.